For cloud filers, only Full Caching or a custom policy can be selected. 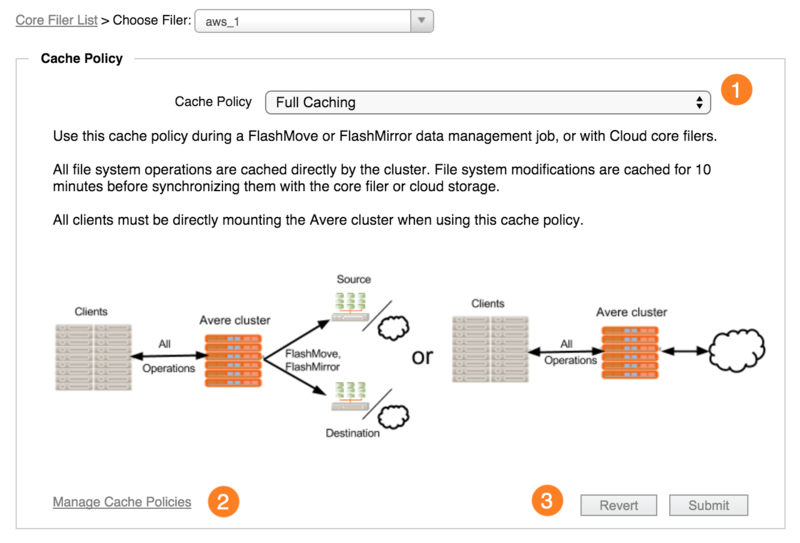 Custom cache policies must include Local Directories and cache both reads and writes in order to be applicable to cloud core filers. If you change the cache policy, click the Submit button (3) to save your changes, or Revert to abandon the modifications. When changing among system cache policies, you might see a warning about other steps that must be taken, or about possible service interruptions that will be caused by changing the policy. 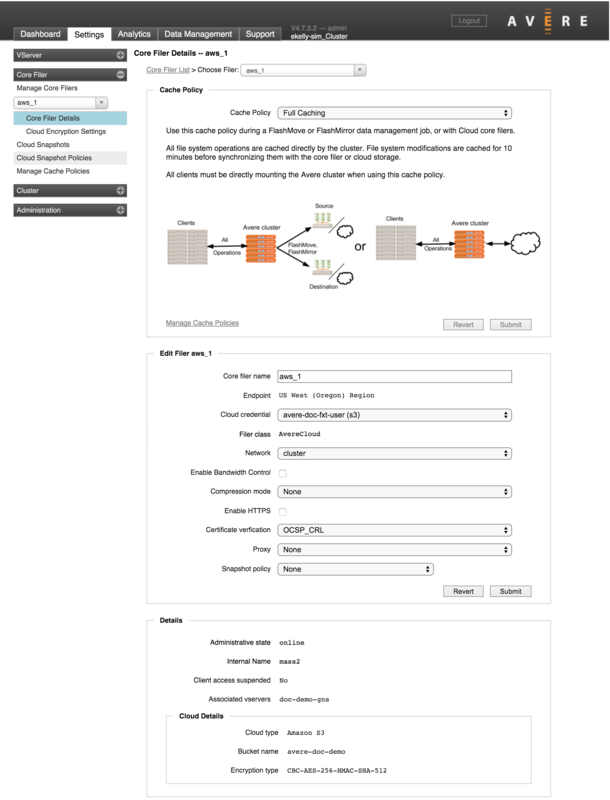 For example, changing a policy could cause cluster unavailability while data is moved. 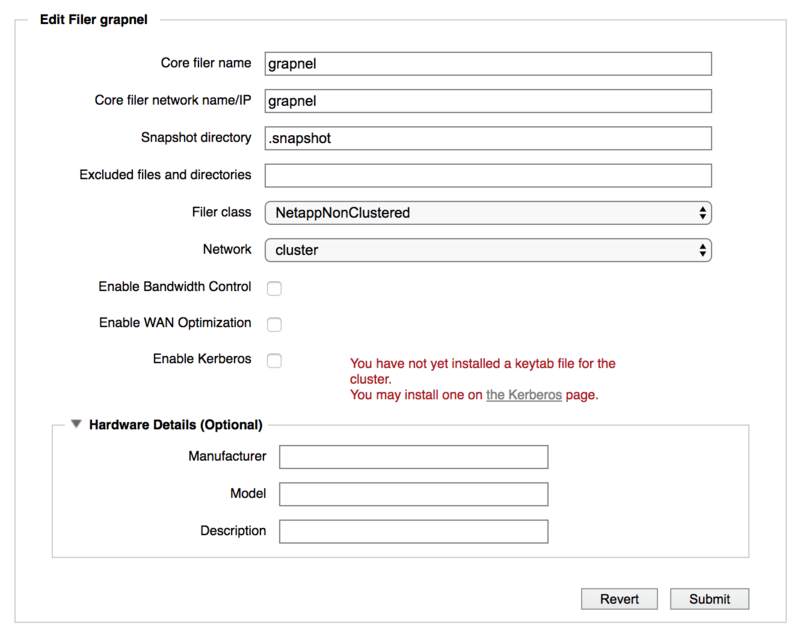 All NFS clients that access the cluster might need to remount, and SMB clients might need to reattach to the SMB share. Excluded files and directories - Optionally, list files on the back-end core filer that should not be cached, moved, or modified by the Avere cluster. You can use this field to ignore metadata files or snapshots created by the core filer OS. Specify filenames or patterns - for example, .etc - and separate multiple entries with commas. Hardware Details (Optional) – Information about the core filer’s hardware, if it has been entered. You can add hardware and configuration details about this core filer here. This information is included in system logs, which can expedite support resolutions if there is an issue. 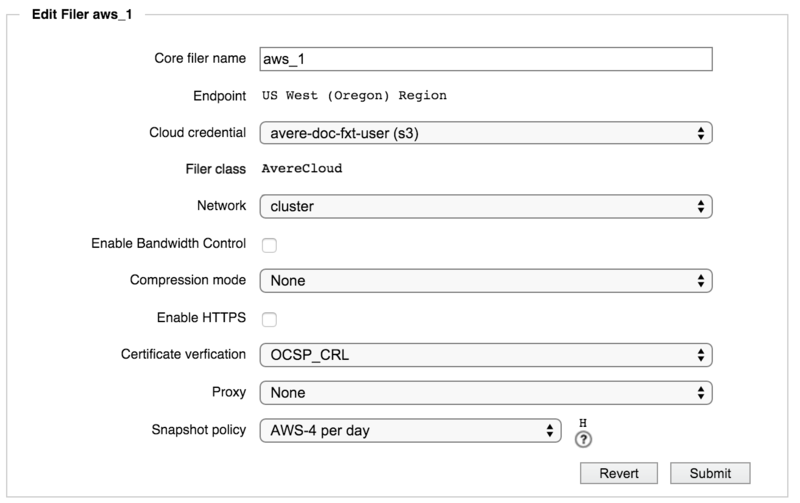 Network hostname - This field appears for some kinds of cloud storage only (for example, AWS storage uses a regional endpoint instead of a hostname). It holds the fully qualified domain name that is used to access your cloud storage bucket. Compression mode – Optionally, choose a mode to enable file compression before storing data on the cloud core filer. Compression options are LZ4 or None. After selecting a policy, you can hover your mouse pointer over the question mark help icon next to the policy name to see details.